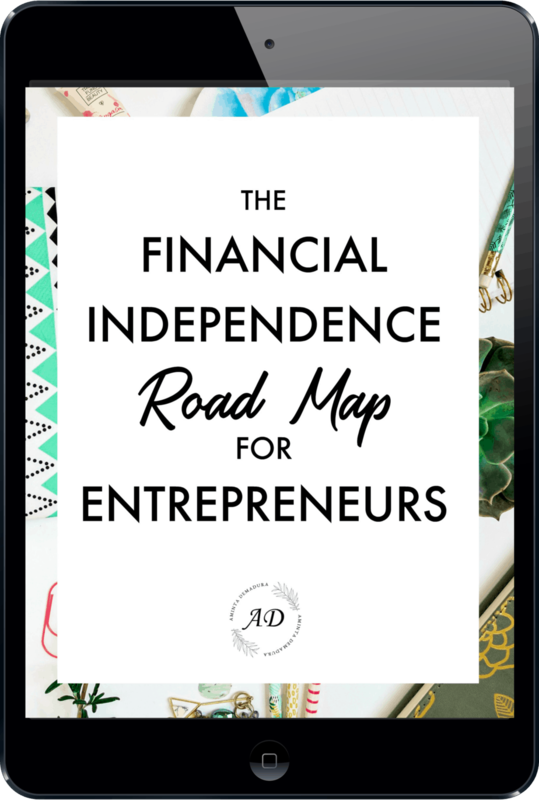 The holiday season is just around the corner, and if you haven't started planning for your Christmas spending yet now is the time to do it! For me personally, shopping for the guys in my life is always the hardest. It often takes me months to figure out what I'll get my husband! 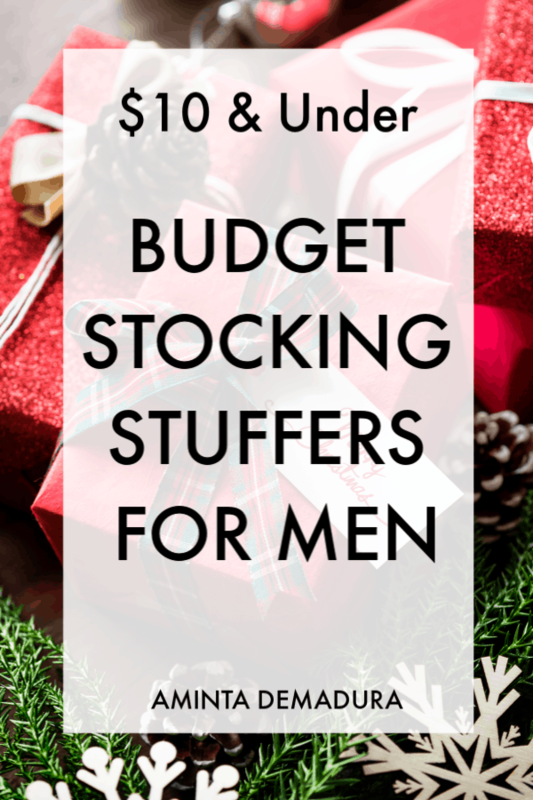 If shopping for the men in your life is tough for you too, I hope this post on the best budget stocking stuffers for men helps you cross off a few of your to-dos. Want to save even more on your holiday shopping this year? 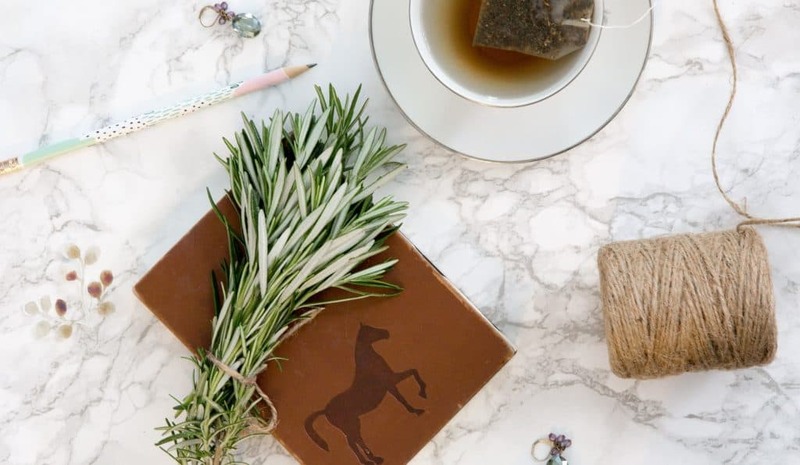 Make sure to use Ebates and Honey when buying online! I save anywhere from 10%-40% using these two free browser extensions. Ebates partners with thousands of companies to offer cash back on any purchase you make. It's free to sign up, and there's no catch. You can get $10 cash when you buy your first item of $25 or more here (that's for any items you want, in any of their 2,000+ stores). And if you want to read my full review of Ebates, please do that as well! Honey is a simple browser extension that automatically scours the internet for coupon codes when you go to checkout. It then applies the highest discount it can find to your cart. Honey is probably my favorite money saving trick yet. It's free, it's easy, and you don't have to do anything after installing the extension. Ready to find the perfect budget stocking stuffer for him? 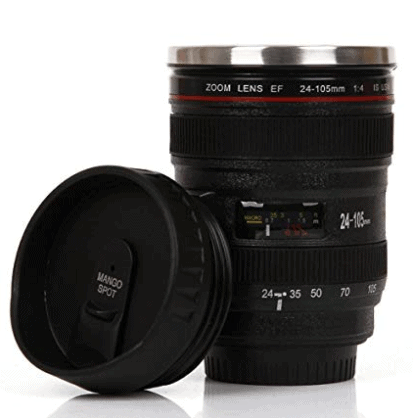 My husband has this exact camera lens thermos and he loves it! We bought it a couple years ago and so far it has held up really well. It is dish washer safe, and it looks like the real thing. Plus, he always gets lots of compliments on it when we go camping. Does the guy in your life love to tinker away in the garage, always building and innovating? 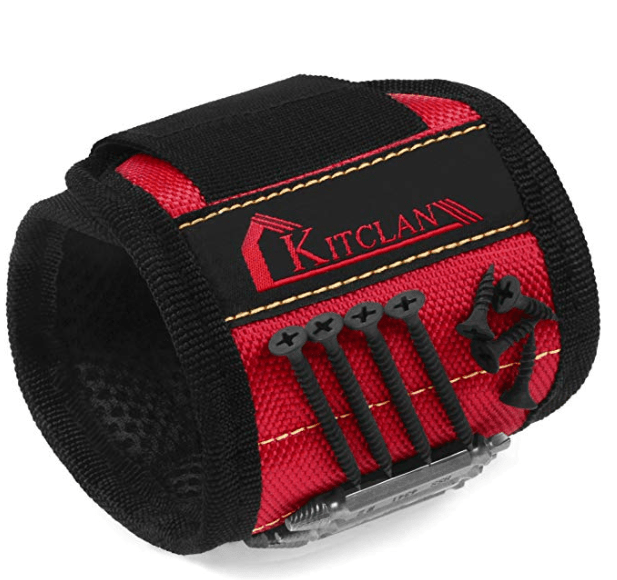 If so, this magnetic wristband might be the perfect way to help him keep hold of any small metal tools that are prone to falling in the cracks. 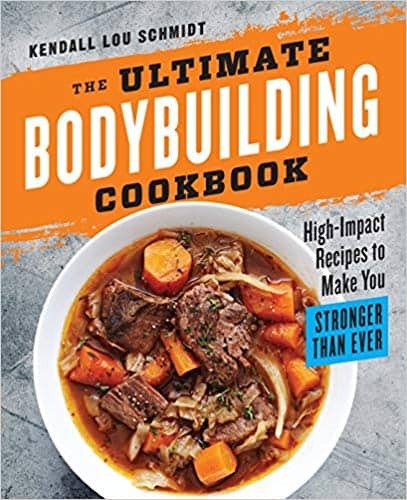 Whether your guy is already a muscle man or might be looking for lean recipes come New Years, The Ultimate Bodybuilding Cookbook is a great stocking stuffer. It has some great reviews, and the recipes look delicious. I might have to try this one out for myself! 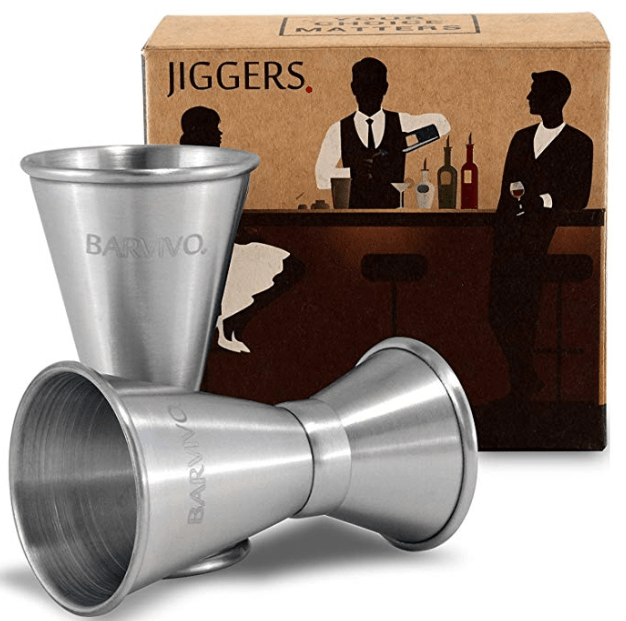 This double jigger set is made in Denmark, and makes a great gift for the guy in your life who likes to whip up tasty cocktails in his free time. Lightweight, stainless steel, and easy to travel with, this jigger set would make a great budget stocking stuffer for men. Know a guy in your life whose current wallet is frayed at the seams? 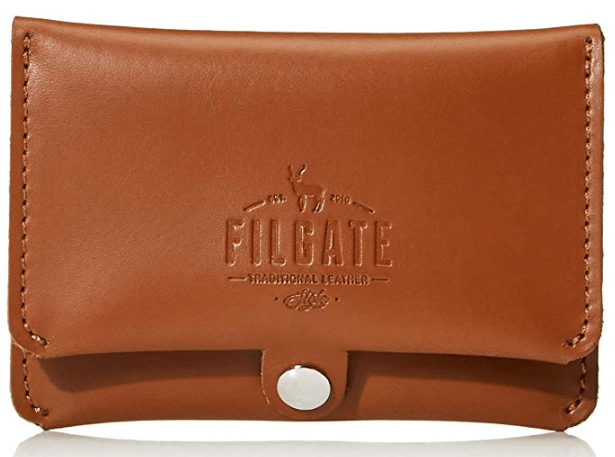 This mens leather bifold wallet makes a great stocking stuffer gift. Lightweight, slim, and stylish. 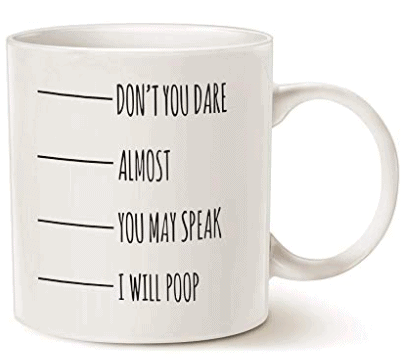 If your guy is a natural joker, this funny coffee mug might be the perfect addition to his Christmas stocking! Manscaping is always in style, so why not gift your bearded dude with this cool beard care kit? 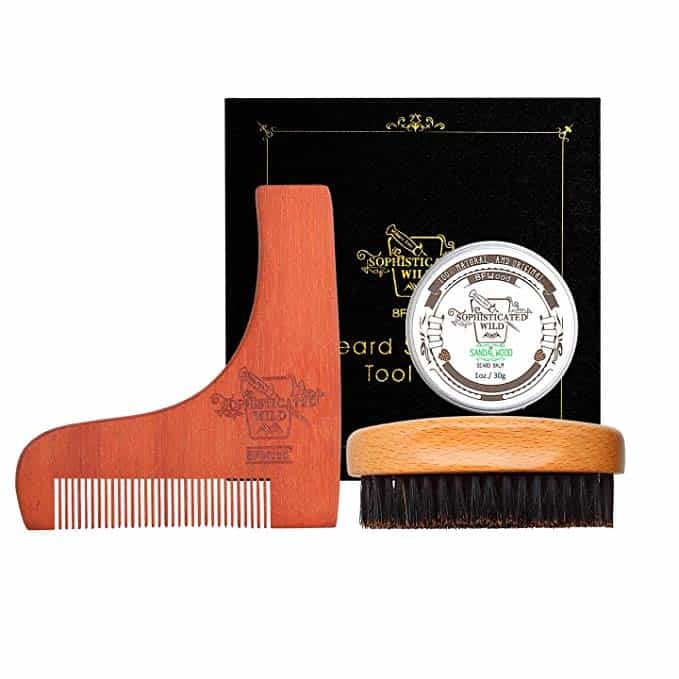 The kit comes with a wood shaping tool, boar bristle brush, and sandalwood beard balm for deep conditioning.